All materials, including images, text, illustrations, designs, icons, photographs, programs, and written and other materials that are part of this Site (collectively, the "Contents") are intended solely for personal, non-commercial use. You may download or copy the Contents and other downloadable materials displayed on the Site for your personal use only. No right, title or interest in any downloaded materials or software is transferred to you as a result of any such downloading or copying. You may not reproduce (except as noted above), publish, transmit, distribute, display, modify, create derivative works from, sell or participate in any sale of or exploit in any way, in whole or in part, any of the Contents, the Site or any related software. All software used on this Site is the property of The Extreme Consultant or its suppliers and protected by U.S. and international copyright laws. The Contents and software on this Site may be used only as a shopping resource. Any other use, including the reproduction, modification, distribution, transmission, republication, display, or performance, of the Contents on this Site is strictly prohibited. The Extreme Consultant is a trademark of The Extreme Consultant. You understand that by using this Site or any services provided on the Site, you may encounter Content that may be deemed by some to be offensive, indecent, or objectionable, which Content may or may not be identified as such. You agree to use the Site and any service at your sole risk and that The Extreme Consultant and its affiliates shall have no liability to you for Content that may be deemed offensive, indecent, or objectionable. Users are prohibited from violating or attempting to violate the security of the Site, including, without limitation, (a) accessing data not intended for such user or logging onto a server or an account which the user is not authorized to access; (b) attempting to probe, scan or test the vulnerability of a system or network or to breach security or authentication measures without proper authorization; (c) attempting to interfere with service to any user, host or network, including, without limitation, via means of submitting a virus to the Site, overloading, "flooding," "spamming," "mailbombing" or "crashing;" (d) sending unsolicited email, including promotions and/or advertising of products or services; or (e) forging any TCP/IP packet header or any part of the header information in any email or newsgroup posting. Violations of system or network security may result in civil or criminal liability. The Extreme Consultant will investigate occurrences that may involve such violations and may involve, and cooperate with, law enforcement authorities in prosecuting users who are involved in such violations. You agree not to use any device, software or routine to interfere or attempt to interfere with the proper working of this Site or any activity being conducted on this Site. You agree, further, not to use or attempt to use any engine, software, tool, agent or other device or mechanism (including without limitation browsers, spiders, robots, avatars or intelligent agents) to navigate or search this Site other than the search engine and search agents available from The Extreme Consultant on this Site and other than generally available third party web browsers (e.g., Netscape Navigator, Microsoft Explorer). Please note that there may be certain orders that we are unable to accept and must cancel. We reserve the right, at our sole discretion, to refuse or cancel any order for any reason. For your convenience, you will not be charged until your payment method is authorized, the order information is verified for accuracy and your order is completed. Some situations that may result in your order being canceled include limitations on quantities available for purchase, inaccuracies or errors in product or pricing information, or problems identified by our credit and fraud avoidance department. We may also require additional verifications or information before accepting any order. We will contact you if all or any portion of your order is canceled or if additional information is required to accept your order. If your order is canceled after your credit card has been charged, we will issue a credit to your credit card in the amount of the charge. While The Extreme Consultant strives to provide accurate product and pricing information, pricing or typographical errors may occur. The Extreme Consultant cannot confirm the price of an item until after you order. In the event that an item is listed at an incorrect price or with incorrect information due to an error in pricing or product information, The Extreme Consultant shall have the right, at our sole discretion, to refuse or cancel any orders placed for that item. In the event that an item is mispriced, The Extreme Consultant may, at our discretion, either contact you for instructions or cancel your order and notify you of such cancellation. 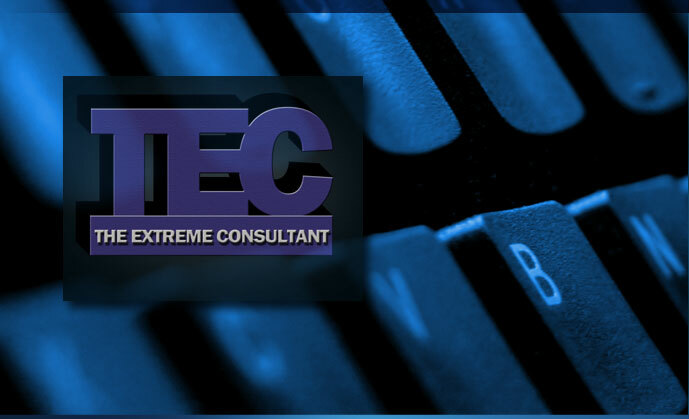 We strive to provide you with the lowest prices possible on The Extreme Consultant. However, prices and availability are subject to change without notice. The Extreme Consultant reserves the right, at our sole discretion, to limit the quantity of items purchased per person, per household or per order. These restrictions may be applicable to orders placed by the same credit card, and also to orders that use the same billing and/or shipping address. We will provide notification to the customer should such limits be applied. The Extreme Consultant also reserves the right, at our sole discretion, to prohibit sales to dealers. Unless otherwise noted, all Contents are copyrights, trademarks, trade dress and/or other intellectual property owned, controlled or licensed by The Extreme Consultant, one of its affiliates or by third parties who have licensed their materials to The Extreme Consultant and are protected by U.S. and international copyright laws. The compilation (meaning the collection, arrangement, and assembly) of all Contents on this Site is the exclusive property of The Extreme Consultant and is also protected by U.S. and international copyright laws. The Extreme Consultant and its suppliers and licensors expressly reserve all intellectual property rights in all text, programs, products, processes, technology, content and other materials which appear on this Site. Access to this Site does not confer and shall not be considered as conferring upon anyone any license under any of The Extreme Consultant's or any third party's intellectual property rights. The The Extreme Consultant names and logos and all related product and service names, design marks and slogans are the trademarks or service marks of The Extreme Consultant . All other marks are the property of their respective companies. No trademark or service mark license is granted in connection with the materials contained on this Site. Access to this Site does not authorize anyone to use any name, logo or mark in any manner. References on this Site to any names, marks, products or services of third parties or hypertext links to third party sites or information are provided solely as a convenience to you and do not in any way constitute or imply The Extreme Consultant's endorsement, sponsorship or recommendation of the third party, information, product or service. The Extreme Consultant is not responsible for the content of any third party sites and does not make any representations regarding the content or accuracy of material on such sites. If you decide to link to any such third party web sites, you do so entirely at your own risk. All reviews, comments, feedback, postcards, suggestions, ideas, and other submissions disclosed, submitted or offered to The Extreme Consultant on or by this Site or otherwise disclosed, submitted or offered in connection with your use of this Site (collectively, the "Comments") shall be and remain The Extreme Consultant's property. Such disclosure, submission or offer of any Comments shall constitute an assignment to The Extreme Consultant of all worldwide rights, titles and interests in all copyrights and other intellectual properties in the Comments. Thus, The Extreme Consultant will own exclusively all such rights, titles and interests and shall not be limited in any way in its use, commercial or otherwise, of any Comments. The Extreme Consultant will be entitled to use, reproduce, disclose, modify, adapt, create derivative works from, publish, display and distribute any Comments you submit for any purpose whatsoever, without restriction and without compensating you in any way. The Extreme Consultant is and shall be under no obligation (1) to maintain any Comments in confidence; (2) to pay to user any compensation for any Comments; or (3) to respond to any user Comments. You agree that any Comments submitted by you to the Site will not violate this policy or any right of any third party, including copyright, trademark, privacy or other personal or proprietary right(s), and will not cause injury to any person or entity. You further agree that no Comments submitted by you to the Site will be or contain libelous or otherwise unlawful, threatening, abusive or obscene material, or contain software viruses, political campaigning, commercial solicitation, chain letters, mass mailings or any form of "spam". The Extreme Consultant does not regularly review posted Comments, but does reserve the right (but not the obligation) to monitor and edit or remove any Comments submitted to the Site. You grant The Extreme Consultant the right to use the name that you submit in connection with any Comments. You agree not to use a false email address, impersonate any person or entity, or otherwise mislead as to the origin of any Comments you submit. You are and shall remain solely responsible for the content of any Comments you make and you agree to indemnify The Extreme Consultant and its affiliates for all claims resulting from any Comments you submit. The Extreme Consultant and its affiliates take no responsibility and assume no liability for any Comments submitted by you or any third party. You agree to defend, indemnify and hold harmless The Extreme Consultant and its affiliates from and against any and all claims, damages, costs and expenses, including attorneys' fees, arising from or related to your use of the Site. THIS SITE IS PROVIDED BY The Extreme Consultant ON AN "AS IS" AND "AS AVAILABLE" BASIS. The Extreme Consultant MAKES NO REPRESENTATIONS OR WARRANTIES OF ANY KIND, EXPRESS OR IMPLIED, AS TO THE OPERATION OF THE SITE OR THE INFORMATION, CONTENT, MATERIALS, OR PRODUCTS INCLUDED ON THIS SITE. TO THE FULL EXTENT PERMISSIBLE BY APPLICABLE LAW, The Extreme Consultant DISCLAIMS ALL WARRANTIES, EXPRESS OR IMPLIED, INCLUDING, BUT NOT LIMITED TO, IMPLIED WARRANTIES OF MERCHANTABILITY AND FITNESS FOR A PARTICULAR PURPOSE. WITHOUT LIMITING THE FOREGOING, The Extreme Consultant DISCLAIMS ANY AND ALL WARRANTIES, EXPRESS OR IMPLIED, FOR ANY MERCHANDISE OFFERED ON THIS SITE. YOU ACKNOWLEDGE, BY YOUR USE OF THE The Extreme Consultant WEB SITE, THAT YOUR USE OF THE SITE IS AT YOUR SOLE RISK. THIS DISCLAIMER DOES NOT APPLY TO ANY PRODUCT WARRANTY OFFERED BY THE MANUFACTURER OF THE ITEM. THIS DISCLAIMER CONSTITUTES AN ESSENTIAL PART OF THIS AGREEMENT. SOME STATES DO NOT ALLOW LIMITATIONS ON HOW LONG AN IMPLIED WARRANTY LASTS, SO THE FOREGOING LIMITATIONS MAY NOT APPLY TO YOU. UNDER NO CIRCUMSTANCES AND UNDER NO LEGAL OR EQUITABLE THEORY, WHETHER IN TORT, CONTRACT, STRICT LIABILITY OR OTHERWISE, SHALL The Extreme Consultant OR ANY OF ITS AFFILIATES, EMPLOYEES, DIRECTORS, OFFICERS, AGENTS, VENDORS OR SUPPLIERS BE LIABLE TO YOU OR TO ANY OTHER PERSON FOR ANY INDIRECT, SPECIAL, INCIDENTAL OR CONSEQUENTIAL LOSSES OR DAMAGES OF ANY NATURE ARISING OUT OF OR IN CONNECTION WITH THE USE OF OR INABILITY TO USE THE The Extreme Consultant WEB SITE, INCLUDING, WITHOUT LIMITATION, DAMAGES FOR LOST PROFITS, LOSS OF GOODWILL, LOSS OF DATA, WORK STOPPAGE, ACCURACY OF RESULTS, OR COMPUTER FAILURE OR MALFUNCTION, EVEN IF AN AUTHORIZED REPRESENTATIVE OF The Extreme Consultant HAS BEEN ADVISED OF OR SHOULD HAVE KNOWN OF THE POSSIBILITY OF SUCH DAMAGES. IN NO EVENT WILL The Extreme Consultant BE LIABLE FOR ANY DAMAGES IN EXCESS OF THE FEES PAID BY YOU IN CONNECTION WITH YOUR USE OF THE SITE DURING THE SIX MONTH PERIOD PRECEDING THE DATE ON WHICH THE CLAIM AROSE. It is the policy of The Extreme Consultant to respond to claims of copyright infringement. We will promptly process and investigate notices of alleged infringement by third parties and will take appropriate actions under the Digital Millennium Copyright Act, Title 17, United States Code, Section 512(c)(2) ("DMCA"), where applicable. Pursuant to the DMCA, notifications of claimed copyright infringement by third parties should be sent to The Extreme Consultant's Designated Agent. If you believe that your copyrighted work has been infringed under U.S. copyright law and is accessible on this Site, please notify us by contacting our Designated Agent. Even if you believe that the alleged infringing work was not posted by a third party, please send all notifications of claimed copyright infringement to The Extreme Consultant's Designated Agent listed below. A physical or electronic signature of a person authorized to act on behalf of the owner of an exclusive right that is allegedly infringed; Identification of the copyrighted work claimed to have been infringed, or, if multiple copyrighted works at a single online site are covered by a single notification, a representative list of such works at that site; Identification of the material that is claimed to be infringing or to be the subject of infringing activity and that is to be removed or access to which is to be disabled, and information reasonably sufficient to permit The Extreme Consultant to locate the material; Information reasonably sufficient to permit The Extreme Consultant to contact the complaining party, such as an address, telephone number, and, if available, an electronic mail address at which the complaining party may be contacted; A statement that the complaining party has a good faith belief that use of the material in the manner complained of is not authorized by the copyright owner, its agent, or the law; and A statement that the information in the notification is accurate, and under penalty of perjury, that the complaining party is authorized to act on behalf of the owner of an exclusive right that is allegedly infringed. Upon receipt of a valid notification of alleged copyright infringement by a third party, The Extreme Consultant shall remove or disable access to the material identified in the notice, forward the written notification to the alleged infringer, and take reasonable efforts to notify the alleged infringer that it has removed or disabled access to this material. You should be aware that, under the DMCA, claimants who make misrepresentations concerning copyright infringement may be liable for shall be liable for any damages, including costs and attorneys' fees, incurred by the alleged infringer or by The Extreme Consultant, if injured by relying upon such misrepresentation in removing or disabling access to the material or activity claimed to be infringing. If The Extreme Consultant receives a valid counter notification, it shall provide the complainant with a copy of the counter notification, inform the complainant that it will replace the removed material or cease disabling access to it in 10 to 14 days from receipt of the counter notification, and replace the removed material or cease disabling access to it in 10 to 14 business days, provided that The Extreme Consultant has not received notice from the complainant that an action has been filed seeking a court order to restrain the alleged infringer from engaging in infringing activity relating to the material on The Extreme Consultant's system. You should be aware that the DMCA provides substantial penalties for a false counter notice filed in response to a notice of copyright infringement. Claimants who make misrepresentations in their the counter notification statement may be liable for shall be liable for any damages, including costs and attorneys' fees, incurred by any copyright owner or copyright owner's authorized licensee, or by The Extreme Consultant, if injured by relying upon such misrepresentation in replacing the removed material or ceasing to disable access to it.